Bring a large pot of lightly salted water to a boil. 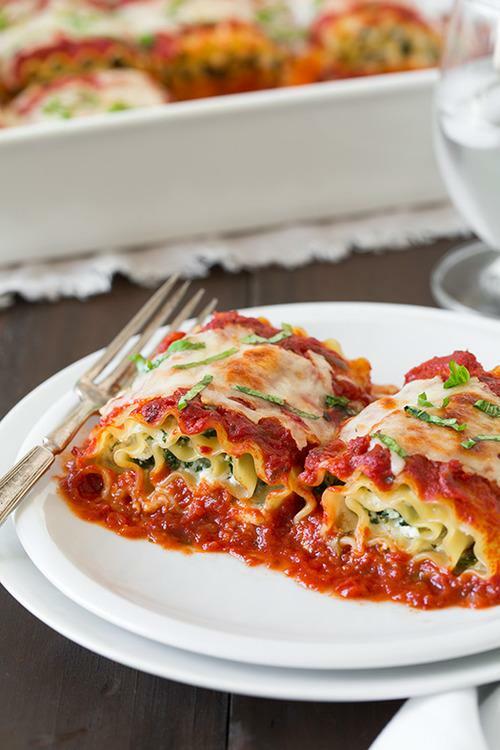 Cook lasagna noodles for 5 to 8 minutes, or until just slightly underdone; drain and rinse. In a large mixing bowl, mix together grated cheese, ricotta cheese, tofu, frozen spinach, and 1 cup Parmesan cheese. Lay out a noodle. Spread a layer of the cheese mixture on the noodle, then add a thin layer of sauce. Roll the noodle up, and place seam side down in a 13×9 pan. Repeat for other noodles. Top with remaining sauce and Parmesan cheese. Bake in a preheated 350 degree F (175 degree C) oven for 30 min, or until hot and bubbly.